Cooking bee boxes, lids and bases increases the longevity of wood ware from the elements. The wood ware is cooked for 10 minutes at 160.c in paraffin and microcrystalline wax. They can be left like this but for an even longer life of the wood ware they can be painted twice. $5 per piece if painting is required. Pick up and drop off is Blackburn North. The views expressed and the conclusions reached in this publication are those of the author and not necessarily those of the persons consulted. RIRDC shall not be responsible in any way whatsoever to any person who relies in whole or in part on the contents of this report. This publication may be of assistance to you but the State of Victoria and its employees and the Rural Industries Research and Development Corporation do not guarantee that the publication is without flaw of any kind or is wholly appropriate for your particular purposes and therefore disclaims all liability for any error, loss or other consequence which may arise from you relying on any information in this publication. This publication is copyright. However, RIRDC encourages wide dissemination of its research, providing the Corporation is clearly acknowledged. For any other enquires concerning reproduction, contact the Communications Manager on phone 02 6272 3186. In July 1998, a national honey bee disease workshop was convened to developed suitable management programs to control and reduce the level of the notifiable honey bee brood disease, American Foulbrood. One of the recommendations arising from the workshop was that the use of disease barrier management systems in apiaries should be encouraged. 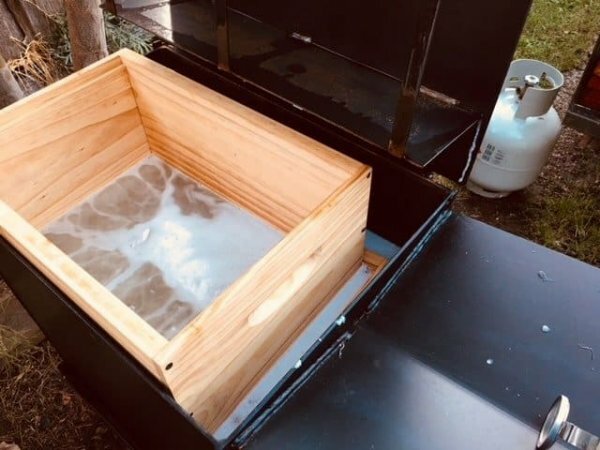 In addition to barrier management systems, there has also been a growing interest in the apiary industry about the use of hot wax dipping to sterilise beehive components originating from hives infected with American Foulbrood disease. A project was funded to develop beekeeper focused guidelines regarding these two management practices. This publication considers best practice for hot wax dipping of beehive components for preservation and for the prevention and control of American Foulbrood disease. This project was funded from industry revenue which is matched by funds provided by the Federal Government. This report, a new addition to RIRDC’s diverse range of 700 research publications, forms part of our Honeybee R&D program, that aims to support innovative and focused research and development projects which will contribute to the productivity and profitability of the Australian beekeeping industry. The author appreciates the contributions made by a number of apiarists towards this manual. Their contribution in terms of sharing their experiences and knowledge of hot wax dipping of beehive components has been invaluable. Their time and effort is greatly appreciated. John and Kieren Sunderland, Dubbo, New South Wales Glen Watson, Devenish, Victoria. Brad Styles, Fire Officer, Country Fire Authority, Boronia, Victoria for information on fire prevention and control. Frank Howard, Office of Gas Safety, Melbourne, for information on safety handling of bottled gas. David Morton, Dussek Campbell, Victoria for information about flash points of waxes. What is hot wax dipping? Welcome to the hot wax dipping manual for apiarists. It is the placement of various beehive components, or parts, in hot molten wax. The term ‘dip’ means a brief immersion into a liquid. However, when apiarists dip their hive parts in molten hot wax, it is usually for periods of up to 15 minutes depending on the reason for which the dipping process is being used. sterilise hive parts salvaged from hives infected with the honey bee brood disease, American foulbrood. Not all hive parts can be hot wax dipped. Photo 1. Some examples of beehive material that may be hot wax dipped. Several apiarists have indicated to the author that when hot wax dipping is done well, the waxed items will last for many years. There is little documented information about the effectiveness of hot wax dipping as a preservative of hives. and a half years of treatment. However, the timber was treated with a paintable water repellent (paraffin wax and varnish in mineral spirits) and the results should not be compared with the effectiveness of hot wax dipping. The key to successful hot wax dipping is to have the molten wax as hot as possible, but not exceeding the safety limits detailed later in this manual. It is also essential that the wood being dipped is well heated throughout to ensure maximum penetration of the wax into the timber. The process should not be hurried by dipping for only a short period of time. Hot wax dipping is a dangerous process if safety precautions are not followed. Severe burns to the operator can result if care is not taken. Fire may also result. Remember that wax is flammable. Keep the temperature of the molten wax below the stated flashpoint temperature (see section ‘Safety first’). Wax dipping can be done at any time of the year, subject to the precautions listed below. Dipping is often conducted during the winter months when the active beekeeping season has finished and apiarists have time to attend to maintenance of hive material and other equipment. A small amount of wax may drain from the dipped item after it is removed from the vat. If the draining wax congeals and forms beads on the surface of the dipped item, the wood has probably not been heated enough. Very little wax drains from timber that has been well heated and is very hot towards its centre. As the timber begins to cool, most or all of the liquid wax on the surface is drawn or sucked into the timber. Because the timber is so hot, any wax that is not drawn into the timber will remain liquid and will readily drain away before temperatures cool to the degree that beading might occur. Observe all fire safety regulations applicable in your State or Territory. Regulations control the use of fire on days of ‘Total Fire Ban’ and during declared fire danger periods. Approximately 30 to 50 beehive supers (boxes) can be dipped in one day. One apiarist has calculated that a full depth beehive super will absorb approximately 30 grams of wax. freely by a number of Australian apiarists willing to share their knowledge and experiences. Some information has been sourced from overseas beekeeping journals and similar publications. The information in this manual is presented as ‘best practice’ in use at the time of writing. Readers are encouraged to identify and adopt measures to improve the safety of the hot wax dipping process for their own individual situations. Damp timber is prone to decay. Most Beehives in Australia are made from pine. This timber has little durability and needs protection if it is to have a useful working life. It will soon begin to decay if left unprotected from the effects of weather outside the hive and the moisture that occurs at certain times of the year inside the hive. Apiarists have found that even when hive components items such as pine boxes and clearer boards are painted, dry rot can quickly reduce their useful life to only two or three years. This is particularly true of hive components that have been cut from pine before the timber has had time to adequately mature. It is extremely costly and time consuming to replace boxes and other wooden hive parts that have had their useful life prematurely shortened because steps were not taken to preserve them. Photos 2 and 3. Examples of wood decay in a clearer board (left) and hive (right). Apiarists weather-proof and preserve hive components in a number of ways. The majority of hives are painted, but sometimes other treatments are used, either with painting or instead of painting. This manual details one of these treatments known as hot wax dipping. Decay in wood is caused by fungi. Fungi have one major requirement, moisture, before they can attack wood and cause decay and rot. Wood that remains damp will support decay organisms. In contrast, wood that has less than 20% moisture content will not support decay organisms (Robinson and French 1986). These facts were confirmed by Williams (1980) who stated that fungi must have moisture and therefore do not attack wood that is dry. this explains why wooden hive components decay readily in the tropics if left unprotected. When a beehive is painted, it is covered with a protective film. The film (paint cover) protects the hive from the elements (weather and sun) and keeps the moisture (rain and dew) on the outside. As a result, the timber remains dry and is not prone to decay. A broken paint film, such as cracked paint, will allow entry of moisture into the wood. The moisture remains trapped by the more or less sound paint cover and provides a favourable environment for wood rotting fungi and eventual decay of the wood. Damp timber protected to a greater or lesser degree by a deteriorating paint film will dry more slowly than that unpainted wood. dumping of boxes on the ground to dislodge bees. Physical damage of this type to wooden hive parts will rupture the paint and provide opportunities for water to enter the timber and become a catalyst for decay. In addition to the physical damage described above, environmental factors can also have an adverse effect on timber. These effects are described by Weatherhead and Kennedy (1980). Sun, wind and rain can cause physical degradation of timber. A change in the moisture content of the timber can lead to expansion or contraction and this in turn leads to warping and splitting. Successive wetting and drying of timber also causes a loss of natural oil and waxes leaving the timber exposed to the effects of moisture. This process can be controlled by water repellent treatments that penetrate into the timber and repel water. Less water enters the timber and this reduces the degree of expansion and contraction. Where the moisture content of the wood remains relatively constant there is only minor (minimal) swelling and shrinkage particularly around the joints. Some re-treatment of the timber may be required from time to time to ensure adequate protection. Efficacy of hot wax dipping. The key to successful hot wax dipping is to have the timber very hot. At this point, the moisture, sap and air in the timber is replaced by molten wax. One apiarist advised: ‘If you don’t heat your timber to the same temperature as the wax you won’t dry it out’. A timber preservative for beehives must have good water repellency and no adverse effect on bees. Hot wax dipping using paraffin and microcrystalline waxes has both of these qualities. Robinson and French (1984) indicated that some apiarists found that hot wax dipped treatments lasted in excess of 15 years before retreatment of the material became necessary. Some beekeepers have indicated that well-treated boxes will last for more than 20 years before further treatment is required. The extent of microcrystalline wax penetration was determined in trials conducted in Australia by Robinson and French (1986). They exposed blocks of wood to microcrystalline wax coloured with a wax soluble dye and placed in an oven at 135oC for one hour. The dye was just visible in the latewood at 2 mm on the radial face and up to 5 mm on the tangential face. These experiments do not fully replicate the environment provided by a vat of hot wax because the temperatures used in the trials was well below that recommended for hot wax dipping. Therefore the above findings should be treated as a guide only. Some reports indicate that during hot wax dipping, the heated wax may penetrate up to about 50 mm in the end grain of timber. During dipping, the molten wax penetrates the joints, repaired sections and other surfaces of the box. The hotter the wax is, the greater penetration of wax is likely to be achieved. As previously indicated, apiarists have stated that dipped items will last for many years without further treatment. Unfortunately, there appears to be no comprehensive study to determine the effectiveness of hot wax dipping under Australian conditions. Wax dipping in New Zealand is reported by Tew (1984) who indicated that sap timber, the portion of timber that would normally decay after a few years, should last as long as 10 years if re-dipped at 3-4 year intervals. However, he did not indicate the length of time that the timber was dipped and it is probable that the dipping time was insufficient. The majority of apiarists who dip hive components choose to paint the material as soon as possible after it has been removed from the vat and while it is quite hot. The paint is sucked or drawn into the hot timber as it cools. It is thought that the paint adds extra protection to the timber by preventing or reducing the leaching of wax over time. A light coloured paint will also help to protect hives from overheating in the summer sun. headaches and drowsiness from fumes • fire. Always ask for and obtain a Material Safety Data Sheet (MSDS) for each type of wax you buy for dipping. 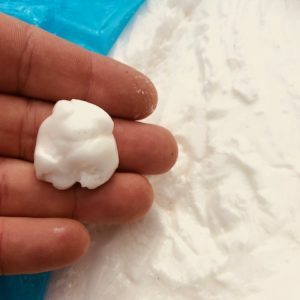 The sheet is prepared by the manufacturer of the wax and contains detailed information on precautions for safe handling, use and any health hazard. It will also provide essential information about the flash point of the molten wax. Take time to read the Material Safety Data Sheet and follow all safety directions. Any employee who is to conduct hot wax dipping must be provided with a copy of the Material Safety Data Sheet and adequate protective clothing. Employees should also receive training in hot wax dipping procedures. Confirm that the employee has read the Material Safety Data Sheet and understands your directions. Confirmation that the employee has obtained the necessary competencies can be obtained by asking the employee to demonstrate the skills and knowledge that the training was expected to provide. Hot molten wax can splash and burn the operator. Beware of drips of wax draining from an item as it is removed from the vat. Make sure you or any other operator is fully clothed and protected. Molten wax can cause severe burns to the skin. If a burn is received from hot wax or direct contact with the hot vat, run cold water over the burn for at least 15 minutes. One apiarist visited by the author had a drum of water ready nearby for such emergencies. Obtain medical assistance and advice as quickly as possible if the operator receives burns. Hazards . . . . . Where to dip? Indoors or outdoors? More about fumes – how good is the ventilation? Avoid fumes given off by the molten wax. They are dangerous! Ensure good ventilation is provided throughout the dipping operation. Apiarists conducting hot wax operations have reported severe headaches. Hot wax dipping should only done outdoors. If you choose to hot wax dip in a purpose built shed or similar semi-enclosed area, you will more than likely experience the effect of a build up of dangerous fumes. Even apiarists using large vats of molten wax outdoors have reported that they have sometimes become effected by fumes. Detailed notes on fire prevention are presented in the next section ‘Fire safety’. Please familiarise yourself with the points below. Develop a fire safety plan and you will be prepared for any emergency. Remember, that if a fire gets away from your premises you will be liable for damage to other people’s property. The Country Fire Authority of Victoria provided much of the following information. No complacency please! An apiarist whose vat of wax caught fire reported flames as high as 10 metres in the air! Always keep a watchful eye on the molten wax. A number of apiarists’ sheds and equipment have been destroyed by fire, as a result of wax melting operations, particularly when molten wax, including molten beeswax, has been left unattended. Such cases have included hot wax dipping operations. Know the telephone number of your local fire brigade and have it handy in case of emergency. Preferably, have a mobile phone on hand. Check that the mobile phone will operate in the area. Familiarise yourself with fire regulations. Observe local fire regulations at all times. Take note of days of Total Fire Ban and declared Fire Danger Periods. Some fire regulations require that there is no combustible material within 3 metres of the vat during the declared Fire Danger Period. It is suggested that apiarists confirm these details with the local fire brigade. A flash point is the temperature at which the molten wax will spontaneously ignite. Never allow the temperature of the wax to get close to, or exceed the flash point printed on the Material Safety Data Sheet. (Refer also to section ‘Waxes for dipping’). A representative of a firm supplying waxes to apiarists has advised that temperature the wax should not exceed 180oC. At the very least, a safety margin of 20-30oC below the flash point should be observed. Overheating the wax may cause a ‘boil-over’ (See below). When removing a dipped item from the vat ensure wax does not drip on the gas burner. a hose connected to a water supply – to extinguish fire that may have spread to nearby vegetation, sheds, beehive components or other combustible material. Note: Water must not be used on molten wax. is close-by and readily accessible during dipping operations. Some hardwood sheets (eg masonite) can cause high levels of frothing. It is suggested that only small quantities of hive components made of this material be dipped at any one time. Some operators have found that if excessive frothing occurs when an item is placed in the molten wax, immediate removal of the item may remove the risk of a boil-over. A potential boil-over may be indicated by the development of large bubbles while an item is submerged in the wax. If a boil-over occurs, immediately cut the heat source by turning off the gas or electricity. This action is the first step to prevent a fire. a tight fitting vat lid. For operator safety, this should only be applied mechanically. It would be dangerous to move close to the fire to place the lid on the vat. Note: never apply water to extinguish fire burning the wax. ‘Boil-overs’ – follow your fire safety plan! Where are the controls situated? Fire may result from poor maintenance and failure of equipment. check the vat to ensure all welds are sound and no leakage of molten wax is possible. When setting up your wax dipping operation, make sure the gas bottle and electric switch are not attached to the wax vat or positioned immediately adjacent to it. Should a boil over or fire occur you will need to turn the controls off. The controls are best placed in a position that they can reached without endangering yourself in an emergency. Ideally, the gas bottle should be placed 3-4 metres from the wax dipping unit so that the supply of gas can be turned off in the case of a fire emergency. Make sure the unit is connected to the gas bottle by an approved gas hose. Readers are advised to check with the Office of Gas Safety (or equivalent) in your State or Territory about regulations that may stipulate a minimum distance from the point of ignition (the gas flame) to the gas bottle. Prepare a ‘fire safe’ out-doors area that will not allow spread of fire should an accident occur. Such areas could be concrete or bare soil. Remove dry grass and any other flammable material in accordance with fire regulations. It is preferable that the area around the vat be surrounded by bunding (similar to a small levy bank) to contain any molten wax that might spill during a boil over. This will also help to contain fire should the wax ignite. The bunding should be able to contain 50% of the volume of wax originally contained in the vat. Keep the area free of inflammable materials, including supplies of paraffin and microcrystalline wax, at all times. Remove any wax below or near the vat that may have accumulated as wax dripped from hive components as they were removed from the vat. A mixture of microcrystalline wax and paraffin wax is commonly used by Australian apiarists. Both microcrystalline and paraffin waxes are sold separately and are mixed by the apiarist to form a 50/50 mix by weight. The two waxes are sold in either slab (block) or bead (pastille) form depending on the grade of wax. Photo 4. Microcrystalline beads (or pastilles) (left) and block of paraffin (right). Some apiarists add a small quantity of beeswax and/or linseed oil to the 50/50 microcrystalline and paraffin wax mixture. It is believed that the addition of a small amount of one or both of these items further increases the life of hot wax dipped timber. The author has been unable to confirm whether this is true and to determine the exact quantities of these additives used by these apiarists. Beeswax and linseed oil cost more than microcrystalline and paraffin waxes. Unless it can be shown that these additives can increase the life of the timber, there is no economic benefit to be gained in using them. Always consult the Material Safety Data Sheet for information about flash points of waxes to be used in hot wax dipping. Remember, never allow the temperature of the wax to get close to or exceed the flash point. Always allow a safety margin. The temperature of the wax should always be 20-30oCelsius below the flash point. Note: The flash point of a 50/50 mix (by weight) of microcrystalline and paraffin wax must have a flash point of 220oC. The flash point of the combined waxes is dependent on the grade and mix of the waxes and will be lower than the average of the flash points of the two individual waxes. Refer to the safety data material sheets for information on the flash point of the waxes. Alternatively, obtain this information from the firm from which you purchased the wax. Some apiarists use 140oC when using wax dipping for preservation. For effective sterilisation of hive components, the temperature of the wax should be in the range of 150° to 160o Celsius. There is no need to exceed this temperature. A representative of a firm supplying waxes to apiarists has advised that the temperature of the wax should not exceed 180oC. Plastic items may warp or melt and consequently supers and queen excluders made from this material are unsuitable for dipping. This also applies to vinyl hive mats and plastic items found on some bee escape boards and hive lids. Plastic items like these should be removed before dipping commences. high pressure water treatment to remove dirt and loose, flaking paint. Photos 5 and 6. Applying high pressure water treatment to supers (left) and cleaned supers with loose paint removed prior to dipping (right). Note: If you use water to clean material, allow sufficient time for it to thoroughly dry before dipping it in hot wax. Failure to observe this will result in excessive frothing of the wax. Some apiarists choose not to remove existing paint before dipping an item. They usually scrape off any blistered paint before the new paint is applied to the item while it is still hot. Use a thermometer and timer to correctly measure temperature and period of dipping respectively. A digital hand held thermometer is suitable for this purpose. An emersion probe, usually 300 mm in length, is attached to the thermometer unit. Emersion probes can also be custom made to any length to suit any size vat. Use the thermometer regularly to ensure the correct temperature is maintained throughout the dipping process and is not exceeding safety levels. When starting up, operators use a gentle heat to begin melting the wax. For example, only one of the three gas rings will be lit until such time as molten wax is observed rising to the top of the solidified cake next to the walls of the vat. This initial gentle heating prevents undue frothing and sudden expansion of the wax thereby protecting thermostat sensors, if present, inside the vat. It also allows liquefied wax to fill the air space under the block of wax. When molten wax is seen at the edge of the top of the cake more heat may be applied within the safety limits. Approximately 2-3 hours may be required to liquefy all the wax in a vat that has a capacity to hold one or two supers. The heating time for a vat that contains 4-6 supers is approximately 5 hours. A useful suggestion! Plan to conduct the wax dipping operation over several days rather than the odd day here and there. The wax may remain warm to hot overnight and will require less heating and time to reach the desired operating temperature the next day. When all the wax is liquefied and the desired temperature is reached, the heat source may be turned down as there is only a need to maintain the temperature. For example, where four barbeque burners (jets) are used to boost temperature after the initial heating, only two will usually be required to maintain the desired temperature. Lower the hive part carefully into the wax to avoid splashing. where supers are fitted with Reade clip fasteners, several may be fastened together. The top box although not being dipped is used firstly as a weight and secondly as a means of lowering and lifting the clamped supers in and out of the vat (see photo 9). Whatever system is used to weight the material being dipped, care must be taken to make sure it is sturdy, reliable and won’t fall into the wax. Careful dipping – no splashing! conclusion that for best results, material should be dipped for 10 minutes. Apiarists believe that the longer an item is dipped and the hotter the timber becomes, the greater the absorption of wax into the timber. The hot molten wax penetrates the wood and replaces the moisture and air in the timber. The moisture is boiled off. The process is similar to the cooking of potato chips in hot oil. Photo 7. A vat of molten wax ready for dipping of hive material. Note: Hot wax dipping should not be done in an enclosed space. The owner of this vat plans to increase the head space between the surface of the wax and the rim of the vat. This will improve the safety margin in case of a boil over (refer to section on vats). Photo 8. Some frothing occurs when a hive component is placed in the molten wax. Photo 9 As the hot wax penetrates the timber and expels much of the moisture and air, the frothing reduces in intensity. Remove the item from the vat and place it on the drain tray to allow excess wax to drain back into the vat. Apiarists find that very little, if any, wax drains from timber items that have been thoroughly heated during the dipping process. Consequently, a drain tray is not necessary. When the weighting device is removed, the item in the vat will partially float above the surface of the wax and can be lifted out. with pointed ends protruding. The ends of the boards with protruding nails are placed in the handholds of the dipped box which is then lifted out of the vat. Which ever means is used to lift the item from the vat, make sure the item cannot fall back into the molten wax to cause splashing. Allow the surface of the item to cool a little and then remove the item to a separate area for painting. Photo 10. Three Ideal supers fitted with Reade clips may be fastened together and dipped and lifted as one unit. The top super is never completely immersed in a single box vat and clips attached to this box may be safely grasped by the operator. After dipping each batch of three boxes, the bottom two boxes are removed for painting. The top is then placed at the bottom of the next stack of three for complete immersion. Migratory hive lids are best dipped after the after the metal cover has been removed. This is because wax may be trapped between the metal and inner cover if the lid is left intact. In hot weather, the solidified trapped wax may melt and seep down the external walls of the hive. After removal from the vat, hive lids are best placed on an incline of 45° to the draining tray so that one corner is lower than the others. This is particularly important if the metal cover has not been removed, as positioning lids in this manner allows excess wax trapped between the inner and metal covers to drain away. It pays to wipe wax from the metal cover before painting and while the hive lid is still hot. While the item is hot it may be painted. In fact, the hotter the item is, the better it is for painting. Paint is almost literally slapped or brushed onto the hot item. The paint is drawn or sucked into the hot timber as it cools. (See notes on ‘Paints and painting’). AFB contaminated hive parts can be sterilised and made safe for reuse by hot wax dipping. New Zealand apiarists have used hot wax dipping to sterilise hive parts contaminated with American foulbrood spores (Paenibacillus larvae) for over 30 years. Experience showed that the process was effective. However, it was not until 1998 that Goodwin and Haine conducted research and proved that hot wax dipping, when used correctly, would render all AFB spores non-viable. These recommendations are based on research conducted in New Zealand by Goodwin and Haine (1998). Using the above time and temperatures will ensure you successfully sterilise the components you have dipped. Reduced periods of time and lower temperatures than those stated above will result in some AFB spores remaining viable and 100% sterilisation will not be achieved. A digital hand held thermometer is suitable for this purpose. An emersion probe, usually 300 mm in length, is attached to the thermometer unit. Emersion probes can also be custom made to any length. All items to be sterilised must be fully immersed in the wax for at least 10 minutes to ensure effective sterilisation. What hive parts may be sterilised? Frames, combs and hive mats from AFB infected hives should be destroyed by burning or irradiated as appropriate and in accordance with State regulations. Hot wax dipping of these items will only contaminate and dirty the molten wax. Plastic items may warp or melt and consequently supers and queen excluders made from this material are unsuitable for dipping. This also applies to plastic items found on some bee escape boards and hive lids. Plastic items like these should be removed and should be disposed of in a careful manner keeping in mind that they originated from hives infected with AFB. other debris as found on bottom boards. This cleaning only removes debris that could soil and contaminate the hot wax and reduce its useful life. Note: Wax and other debris scraped from AFB infected components pose a significant disease risk and must not be exposed to any bees. It should be disposed of carefully in accordance with State or Territory apiary laws. Dipping may be commenced as soon as the wax reaches 150° – 160o Celsius. Hive parts removed from AFB infected hives should be stored in a bee-proof environment to prevent spread of the disease. When it is time to commence dipping, infected items should be brought out in small numbers and kept covered so that bees can’t have access to them. The handling of diseased items must be done in accordance with appropriate State or Territory legislation. 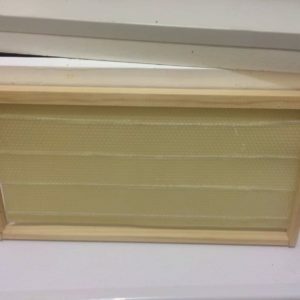 * bee escape boards without plastic or fine mesh inserts. The vat that holds the molten wax may be made from 3 mm black steel plate or stainless steel. In New Zealand, the bottom of the vat is constructed of 6 mm steel plate and the sides of 3 mm steel plate (Matheson 1980). The pieces of plate are welded together on both sides for added strength to prevent them from rupturing. Alternatively, the vat could be constructed from one piece of steel plate and this would reduce the number of joints to be welded. A cover or lid is constructed using metal 1.6 mm thickness. It is suggested that before constructing a vat, apiarists consult an engineer for expert advice. The vat should be large enough to accommodate the largest hive component to be hot wax dipped. In most cases, the largest item (at least on a plan view) would be the hive bottom board which often has a protruding lip or landing platform which makes it longer than a hive box. Some vats are made to accommodate to 1, 2, 4 or 6 beehive boxes. Photo 11. A vat, with drain tray, suitable for dipping one super at a time. The unit is heated by gas supplied through four independently adjusted barbeque gas burners. Note that for safety reasons, the gas bottle should be position away from the unit and the vat itself should be located outside the shed. (Refer to section on ‘Safety’). 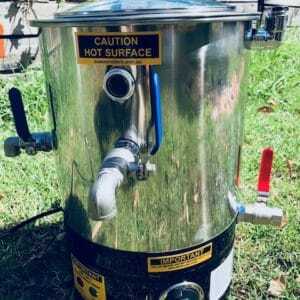 Depth and safety considerations -prevent boil overs! safety margin of 155 mm – this had not been sufficient to contain a boil-over. A 4-box vat observed by the author had a safety margin of almost 400 mm in the height of the walls above the level of the wax in its solidified state. Photo 12. The same vat (as in photo 11) showing dipped super on drain tray and molten wax. Note the distance from the wax to the top of the extended sides – a safety feature designed to contain wax boil overs. Another vat observed by the author had a safety margin and incorporated an extended rim. It comprised of 80 mm on the perpendicular walls of the vat plus an extension of another 250 mm in height. The steel plate used for the extension was placed on an angle of 45o outwards from the walls of the vat. The bottom of the vat is 320 mm from ground level. A 4 or 6 box wax dipping unit measuring 1151 mm x 793 mm (plan view) is operated by John Sunderland of Sunderland Apiaries. This unit has insulated double walls to increase efficiency. A chimney is also provided. Readers requiring more information on this unit should contact Sunderland Apiaries, Dubbo, NSW, direct. Photo 13. The vat operated by Sunderland Apiaries, Dubbo. Note the head space from the wax to the top of the walls. Note also the gas hose (bottom left) which is connected to the gas bottle located over three metres from the unit. Four boxes are placed in the vat in such a manner to form two stacks of two boxes. A third box, turned on its end, is then placed within in each stack, to provide a total of six boxes being dipped at any one time. The boxes are kept submerged in the molten wax by use of clamps. Photo 14. The clamps are used to keep the supers submerged in the molten wax. The unit is gas heated using 4 burners removed from Donarch space heaters. Thermostat and electrical connections are best covered with a metal flap, cap or hood to protect them from the weather and possible boil overs. Such protection can help to alleviate the risk of electrical fire. A tight fitting lid for the vat is recommended by Warhurst and Goebel (1995). It can be used to smother flames should the wax catch fire. The lid should be able to be lowered mechanically in the event of a fire emergency. In this way the operator need not get close to the fire. Photo 15. Wax dipping unit with lid in place. When the vat is not in use, the lid should be in place to prevent entry of dust and rain that could lead to rusting of the metal components. Remember that moisture in the vat can cause the wax to froth excessively when it is next heated. Photo 16. This vat is capable of dipping four supers at a time. Supers are removed from the wax and placed on two metal cross beams to allow excess wax to drain. The vat is partially insulated with aluminium sisalation and bricks. Completion of the brickwork would greatly improve the insulation and prevent heat loss. Gas or electricity may be used to heat the vat. 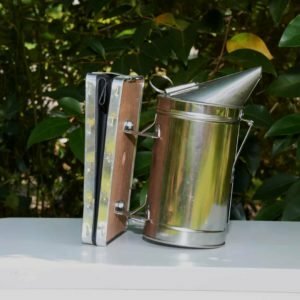 The author strongly suggests that apiarists who plan to build a wax dipping unit should consider electricity as the preferred heat source because there is no naked flame. Solid fuel fires should not be used because of the difficulty in controlling the fire and amount of heat applied to the vat. When accidents happen, gas and electricity can be quickly switched off. Readers are advised to consult a registered gas fitter for expert advice on the use of gas to heat hot wax dipping units. Barbeque burners and gas rings are often used. It is strongly recommended that vats be fitted with appropriate thermocouples and thermostats to regulate the flow of gas and consequently the temperature of the molten wax. At the very least, it is advisable to have each gas burner with its own independent tap to enable efficient regulation of the flow of gas and the amount of heat to be applied to the vat at any given time. Gas ring units incorporating three independent rings each with its own tap also enable the flow of gas to be regulated. Photo 17. Four gas burners are used to heat the unit operated by Sunderland apiaries. protect the operator from accidental burns. 25 mm semi rigid aluminium foil backed heat resistant fibreglass sheet between double walls of the unit. The metal draining tray, if required, should be big enough to hold the largest hive component and is usually positioned at one end of the vat. Excess wax drains from the dipped item, onto the sloping tray and flows into the vat (See photo 12). The use of baffles to raise the dipped item from the floor of the tray will ensure better drainage of wax from the dipped item. A couple of metal pegs welded to the floor of the tray near the vat will prevent dipped items sliding back into the vat. oxidation from the metal vat. It may be necessary to remove soiled wax and replace it with new wax to ensure that dipped hive material is clean. A drain trap is used to drain dirty molten wax from the vat. In the case of oxidation, the contaminated wax will sink to the bottom of the vat and only that portion of the wax will need to be drained out. Large debris can be removed from the molten wax using a scoop. Wheels may be attached to one end of the small vat to enable it to moved to a storage area when it is not in use. heating coils to be placed under the steel plate base of the vat. In summer, honey colonies cope much better with the hot sun and high temperatures when their hives are painted with light colours. When hot wax dipped material is not painted, hive bees tend to cluster on the front of the hive where the air is cooler. Some beekeepers choose not to paint hot wax dipped material believing it is unnecessary. However, a little time spent in painting may be good insurance against colony stress in normal summer temperatures and possible melt down of combs in extreme heat. The key to successful paint adhesion is to have the dipped material as hot as possible. When applied to hot treated wood, the paint is pulled or sucked into the timber as it is cools. Dipped items that have cooled cannot be painted successfully. The paint will not be sucked into the timber nor will it adhere well to the cooled wax. It appears that this process of the paint being pulled or sucked into the timber may significantly diminish or cease if the temperature of the dipped item falls below 130oC (Griffiths 1992). It is best to apply paint after the dipped material has been allowed to quickly drain but while it is still very hot. One apiarist quickly wiped any excess wax adhering to the dipped item before applying paint. Painting is made easier when the items to be painted are placed on a rotating painting stand. undercoat applied to the dipped item while it was still very hot; a coat of gloss enamel applied later when the item had cooled and the undercoat had dried. Where acrylic paint was the preferred paint, two coats were applied while the dipped item was still quite hot. Oil based or acrylic paints? and last longer than acrylic paint. It was generally considered that acrylic paint tended to rub off easily, and in hot weather, surfaces with acrylic paint would tend to bond together causing hive components to stick to each other. Apiarists differed widely in their approach to painting a dipped item. Some painted all surfaces while others painted only the external surfaces. The only majority agreement was that surfaces to be painted should have two coats of paint. If the paint is not drawn into the timber it is likely that the wood was not sufficiently heated throughout when it was dipped. It may be necessary to increase the time of dipping or increase the temperature of the wax within the safety limits to ensure the wood is thoroughly heated. Usually two thick coats of paint are applied. One apiarist applied a third coat on the top edge of the hive box for extra protection. Photos 18 and 19. A revolving stand is useful when painting dipped supers which are very hot. During the dipping process, some blistering of paint may occur on items that have been previously painted. After draining, the blistered paint should be quickly and immediately scraped off before applying a new coat of paint to the still hot component. Goodwin, M. and Haine, H. (1998). Using paraffin wax and steam chests to sterilise hive parts that have been in contact with colonies with American Foulbrood Disease. New Zealand Beekeeper. 5:4, 21. Griffiths, G. L. (1992). Protocol for wax dipping bee equipment. In Preservation of wooden hive equipment. Miscellaneous Publication 4/92 March 1992. Compiled by L Allan, Senior Apiculturalist, Department of Agriculture, Western Australia. Matheson, A. (1980). Easily constructed paraffin wax dipper. 41:4, 11-2. Robinson, P. J. and French, J. R. J. (1984). Beekeeping and wood preservation in Australia. Australian Bee Journal. 67:1, 8-10. Warhurst, P. and Goebel, R. L. (1995). The bee book: beekeeping in the warmer areas of Australia. Page 35. Weatherhead, T. F. and Kennedy, M. J. (1980). Adhesives and wood preservatives for the beekeeper in the 1980s. The Australasian Beekeeper. 82:4, 88-94. Williams, D. (1980). Preserving beehive timber. New Zealand Beekeeper. 41:4, 13.